Refresh your footwear collection with these court shoes. 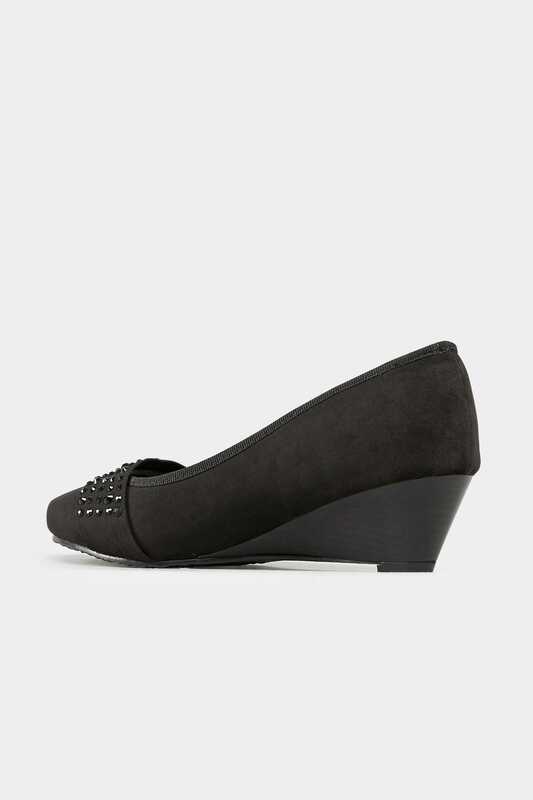 Made from a faux suede fabric, this slip on style is adorned with diamante embellishment in a low wedge heel. Featuring flexible comfort insoles, they are sure to keep your feet feeling great all-day long.